Mr. McEwen has been associated with the gold industry for four decades. His career began in the investment industry, and then in 1990 he stepped into the mining sector. 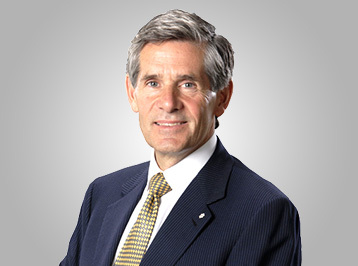 Rob is the founder of Goldcorp Inc., where he took the company from a market capitalization of $50 million to over $8 billion. Rob is currently the Chairman and Chief Owner of McEwen Mining Inc., exploring for gold, silver and copper in Canada, USA, Mexico and Argentina. 2017: Inducted into the Canadian Mining Hall of Fame.